Since the organization began collecting statistical data in 1997, there has been a 273 percent increase in the number of male plastic surgery procedures performed. The increasing availability and diversity of cosmetic procedures has no doubt contributed to the growing number of male patients. Many cosmetic surgeons also conjecture that the competitive job market has driven more men to seek out cosmetic surgery. Laser liposuction, or laser lipo for short, is a revolutionary procedure for removing excess fat. At Talbott Plastic Surgery Center, we use a high powered Lipotherme™ laser to sculpt the contours of the body. Our patients love this procedure because it is minimally invasive and requires little to no downtime for recovery. Our patients tend to have many questions about laser lipo since it is a relatively new procedure. Keep reading for answers to the most commonly asked questions about laser lipo. The clinical term for laser lipo is laser-assisted lipolysis. Laser lipo is a safe, effective procedure that uses a Lipotherme™ laser to liquify unwanted fat in targeted zones of the body. In addition to removing fat, the thermal effect of the Lipotherme™ laser causes the skin to contract, resulting in firmer and smoother skin to help you meet your body shaping goals. Just when we thought we’ve answered every single question there is about breast augmentation in Reno, we get some new ones. And that’s great! We love it when potential patients ask us questions; it shows that they’re doing all the research before making a highly personal and life-changing decision. If you’re considering breast augmentation and would like to know more, this FAQ can help you. Don’t find your question here? It might be in our earlier FAQ post. You can also contact us directly and schedule a complimentary consultation. We understand there are certain questions you might want to ask in private. Anyway, let the Question and Answer begin! Exclusive Kybella & Botox Offer: Twice as Nice, Twice as Amazing! Ready for complete facial rejuvenation? Talbott Plastic Surgery Center is offering the Twice as Nice Savings Program, so you can look twice as amazing! For a limited time, you can enjoy exclusive savings on Kybella® and Botox® treatments. All you need to do is choose your treatment from the list below and call our clinic at (775) 348-4790 to schedule your appointment. Did you know that women’s metabolisms start slowing down at the tender age of 25? After this point, a woman’s metabolism continues it’s decline, slowing down by as much as 2-4% each year. A slowing metabolism can wreak havoc on a woman’s figure even if her lifestyle hasn’t changed. Factors like a slowing metabolism, fluctuating weight, sedentary lifestyle, and pregnancy can all add excess fat and skin to a woman’s midsection. Once you’ve obtained a dreaded “spare tire,” it can be very difficult to get rid of. Women who want to trim down their tummies should observe a healthy diet and regular exercise routine. Although a healthy diet and exercise can effectively reduce belly fat, it may not tighten loose skin around the midsection. In this situation, many women turn to tummy tucks to help them dramatically tone up their midsection. Facelift vs Mini Facelift: Which is Best for You? It may not be as popular as others, but it’s a trend in plastic surgery that’s never really faded: Less is more. We see it in the rise of breast reduction surgery, or the number of people who go for breast lifts over breast augmentation. The same can be said for facelifts and mini facelifts. Why go for the full, traditional procedure when you can instead have a little enhancement here and a little enhancement there? The danger with this kind of thinking is that it leads to unrealistic expectations. When you choose one procedure over the other without adjusting your expectations, you’re sure to be unhappy with the results. This is especially true for facial plastic surgery procedures, which require meticulous attention to detail. This leads us to some vital questions: What’s the difference between a facelift and mini facelift, and which procedure is best? Breast augmentation remains to be an overwhelmingly popular plastic surgery procedure among women, but breast lifts are catching up quickly. In 2014, over 92,000 breast lift procedures were performed in the U.S. alone. That’s a 75% growth since 2000! This surge in popularity has led more and more women to look into breast lift surgery. Here at Talbott Plastic Surgery Center in Reno, for instance, we’ve received a lot of breast lift inquiries. We’ve also noticed that the more interested people are, the more questions they have, so we’ve compiled and answered the most frequently asked questions about this type of plastic surgery. 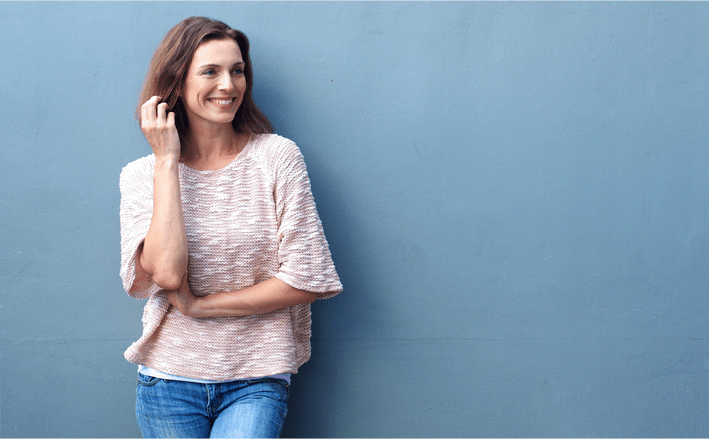 If you’re considering getting a breast lift in Reno, this FAQ can help you arrive at a decision you’ll be happy and comfortable with. Tummy Tuck and Liposuction: Can They Be Combined? Ever been in that situation where you had to choose between two good things? Well, this isn’t one of those times. Thanks to the advances in technology and the growing expertise of plastic surgeons, you don’t have to choose between liposuction and a tummy tuck (also known as abdominoplasty), or have to get one procedure done and then wait to heal before getting the other. The combination of liposuction and tummy tuck has become a common procedure in Reno plastic surgery. Is it safe? Yes. When performed by an experienced Board-certified plastic surgeon, it minimizes the risk of tissue trauma and greatly reduces the recovery period. Breast augmentation is an elective operation, but just because the surgery is a choice doesn’t make it any less serious, especially since no woman chooses the sometimes-unsettling feeling and implications attendant with the process. Talbott Plastic Surgery Center has performed a lot of breast augmentation procedures in Reno, so we understand that as a patient, just knowing about the aftereffects of the surgery helps you manage expectations and worry less. You probably have a lot of questions – How long is recovery? How will my breasts look immediately after, etc. – so here’s a list of what you can expect. Love being a mom, but not the effects that pregnancy and motherhood have had on your body, like loose skin, sagging breasts, stretch marks, and those isolated pockets of fat? Sadly, diets, beauty regimens, and regular exercise can’t always restore your pre-baby physique. The good news is, a mommy makeover can help you reclaim your body and your self-confidence. Check out our infographic to learn what a mommy makeover is and what it can do for you. As a mother, you take care of everyone and tend to their needs. Now it’s time to take care of yourself. Get your body back with a mommy makeover in Reno! If you have questions or would like to schedule a COMPLIMENTARY consultation, contact Talbott Plastic Surgery Center today.